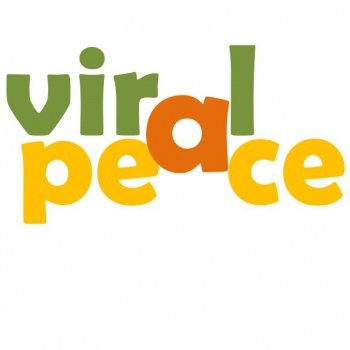 The Viral Peace program is out to make the internet uninhabitable for Islamic extremists. In years gone by, Islamic extremists and would-be terrorists would communicate with one another using tangible means: they'd exchange cassette or video tapes of their leaders' rousing speeches, for example, or hoard secret pamphlets laced with just the right kind of rhetoric. Back then, the best way to nip their violent dreams in the bud was to seize their contraband; but now that terrorists are increasingly communicating and recruiting using the internet, what can we do to turn them away from the not-so-straight path of extremism? According to the State Department, the solution might be to prod them into moderate thinking by politely trolling their internet spaces. Led by Shahed Amanullah, a senior technology advisor to the State Department, the Viral Peace nicely-troll-an-extremist program will aim to disrupt the virtual spaces most frequently occupied by would-be terrorists and Islamic extremists. Amanullah wants to train young Muslims from across the Islamic world to use "logic, humor, satire, [and] religious arguments, not just to confront [extremists], but to undermine and demoralize them" on forums, Facebook, and Twitter. "[Jihadis have] an energy, they've got a vitality that frankly attracts some of these at-risk people," said Amanullah. "It appeals to macho, it appeals to people's rebellious nature, it appeals to people who feel downtrodden." If the Viral Peace internet hunters can rebuff the extremists' arguments using both political logic and the words of the Holy Qu'ran (especially those parts about how there's seriously no excuse for murdering a non-combatant who hasn't actually done anything to you), they could make the extremists' ideas seem less appealing to vulnerable targets, at the same time as perhaps re-aligning the views of the extremists themselves. "I come from Silicon Valley, from the start-up environment," added Amanullah. "I want to prove you can do small, inexpensive, high-impact projects that don't just talk about the problem but solve the problem. And solve it the right way: not with the government's heavy hand but by empowering local people to do what they already know to do but don't know how." According to online jihad specialist Jarret Brachmann, the idea could genuinely work. According to him, forum-based extremists "keep the momentum, the anger and the virulence going in forums, and they have a disproportionate impact...so if you can get rid of them, it'll pay dividends." Though the Viral Peace internet-scourers will likely face trouble in the form of tetchy admins and quick removal from highly conservative sites, they could find themselves welcomed in more moderate spaces, according to specialists on the topic. When (and if) it lifts off, Viral Peace will very much be in the hands of the young Muslims who wish to participate, rather than the State Department itself. While the Department will provide advice on strategy, it's up to the Viral Peace activists themselves to decide how best to approach the problem in their own countries. Last month saw the first raft of Viral Peace meetings across nations including Malaysia, the Philippines, and Indonesia, where the activists identified the central problems behind extremism in their countries (with poverty, injustice, and inequality identified as the main issues) before going over materials designed to help train them in how to diffuse extremist anger online. For the moment, the young people involved in Viral Peace are keeping in touch via their Facebook page and Twitter account. It'll be interesting to see how their project, with advice from techies at the State Department, will develop; can directed, organized and educated trolling really be used as an effective tool against extremism? Here's to hoping so.